Let's go to one of the oldest floating market in Thailand! This trip will take you to ride the boat | Fri-Sun is when the market most vibrant | Mon-Thu is also possible to go with less shop open. We can equally enjoy the boat ride everyday. Arrive in Don Hoi Lot, The beauty of the sea and mangrove forests, If you would like to Catch razor clams, you can go, take your time. It's time to have lunch. 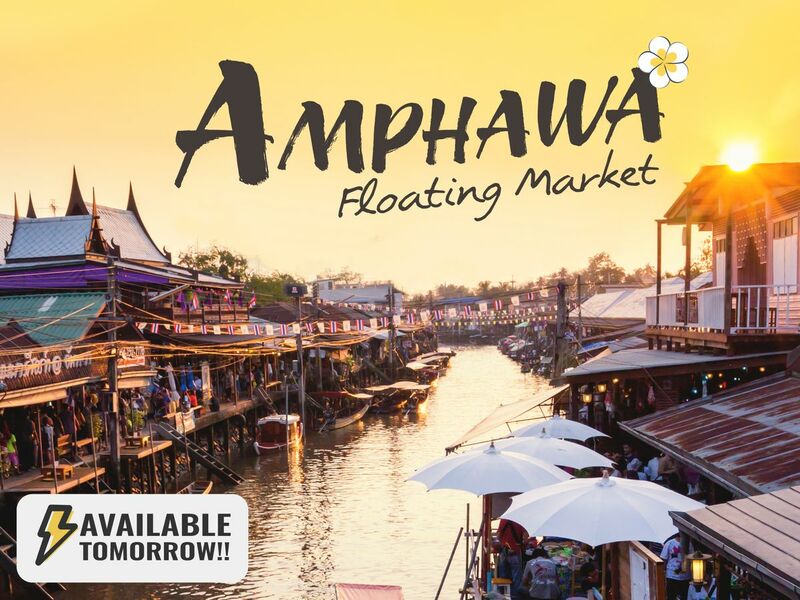 Arrive at Amphawa floating market.You will get to ride a boat in the river observing the local lives along. We will visit Wat Bang Kung Temple with its exceptional location in a tree! Try Thai food, snack and dessert! You will have to pay for your own meals.